Giraffe Propagator contains: 12 expanding Jiffy 7 compost pellets, waterproof tray, propagator lid, Sunflower Giraffe seeds. Sunflower Gifaffe Seeds - EXCLUSIVE to Suttons - British bred by Victoria Wakefield. Perfect for the UK climate and a must for competitions! 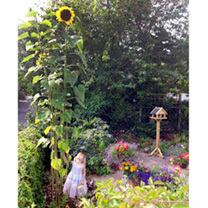 Possibly the tallest sunflower ever bred! Height 4.5m (15'). HA - Hardy annual. Easy to grow and a real favourite with children. Flowers like very large daisies with brightly coloured petals. Pollen-free varieties are ideal for hayfever sufferers and for cutting. Use petals and seeds in salads and cakes. 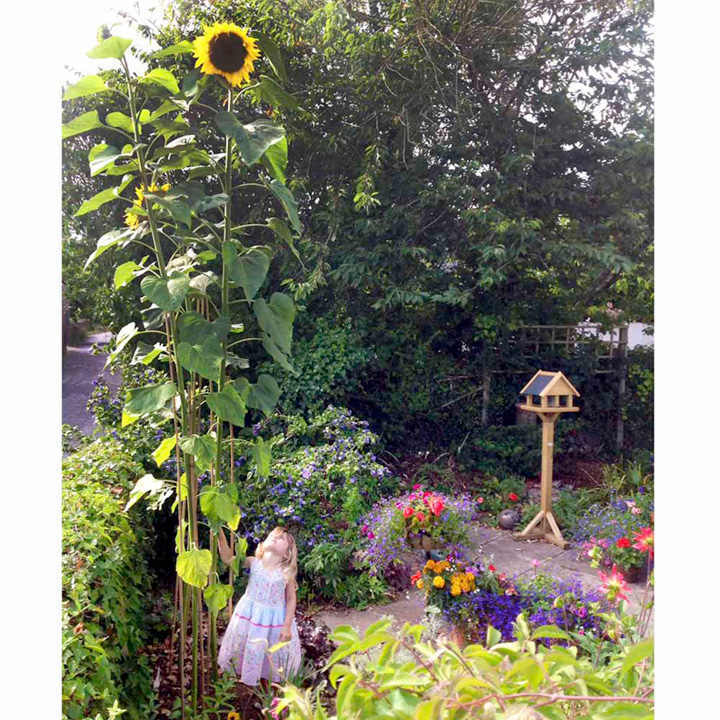 Possibly the tallest Sunflower ever bred!